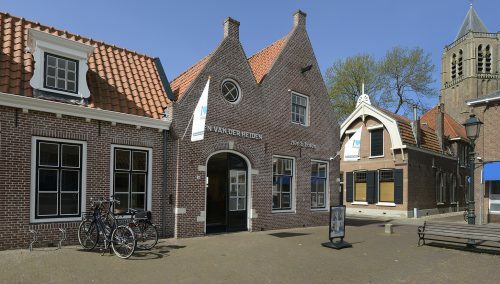 Bergambacht Optiek is a textbook example of a great optician store with a regional function. The shop had celebrated its 25th anniversary. Time for some change! Simon asked for an introduction meeting with the WSB retail designers. Rick Schreuder: “The first meeting was immediately positive. Simon gave us full carte blanche to set up a shop ready for 2025. But still ensuring that people in the area would feel comfortable. Specifically, we gave the shop two faces: 1 Presentation wall for frames to cater to the luxury segment. The wall was made from wood parquet in fish bone motive. The frames presentation on the right wall is more trendy with an industrial and vintage finishing. WSB’s retail architects make your offline optician shop into a commercially successful store concept. Each store has its own style, and each owner has his/her own wishes. WSB gives input from the perspectives of both the sales employees and the customers. The interior should appeal to the customer’s imagination while efficient and workable for the staff. WSB makes the shop brand more powerful by creating an experience. Optician store concept: We understand what really motivates people and what influences their buying behaviour. Our shop designers are familiar with world class cities such as New York, Paris, Berlin etc. 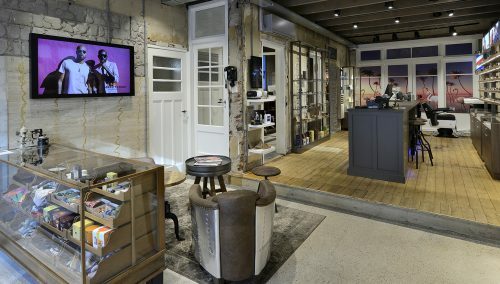 Do you have plans for renovating your optician shop? 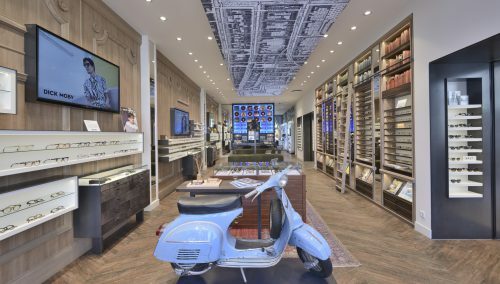 Are you looking for a commercial, unique design for your optician store? Then call WSB for an inspiring brainstorm session on.